There has been a lot of tree people out here for us, and they are the best. They are the only company I will use now, even for my personal stuff. He is a great arborist. They are always on time. They finished on time and did what they said they would do. I love the service. They are great. 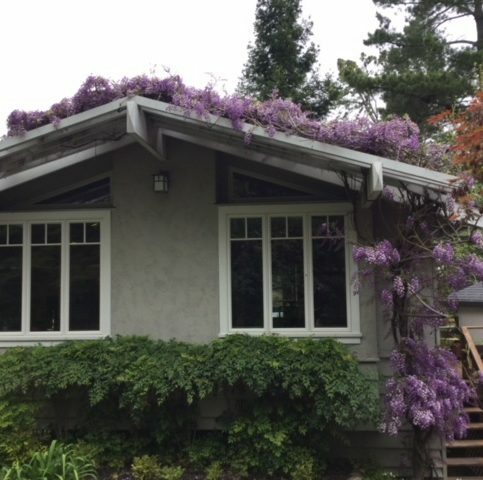 They make the property look wonderful. I like the fact that they never leave a mess, very clean. Alex is a great guy. I would tell people to give him a call if they are in need of his service. 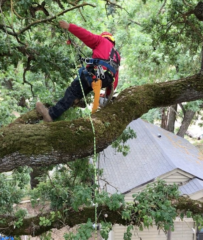 He is an arborist and has a very in-depth knowledge of the industry. 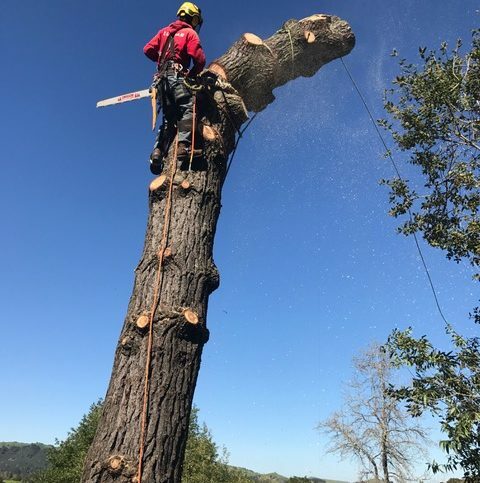 SexyTrees.com provides a wide range of tree care services for residential and commercial clients in Solano, Contra Costa, and Alameda Counties. 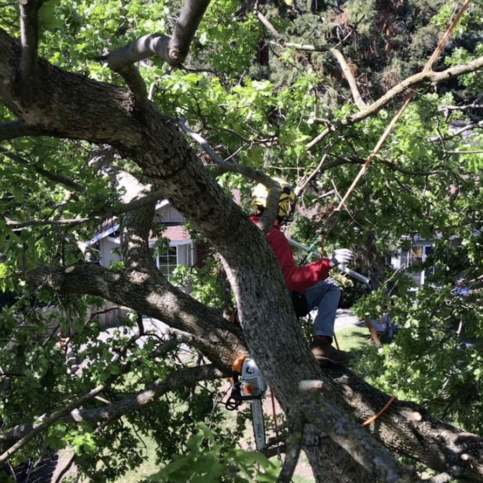 The company has the training and equipment to handle everything from routine pruning and maintenance to stump grinding and tree removal, and it’s also qualified to perform risk assessments and evaluations on potentially hazardous trees. 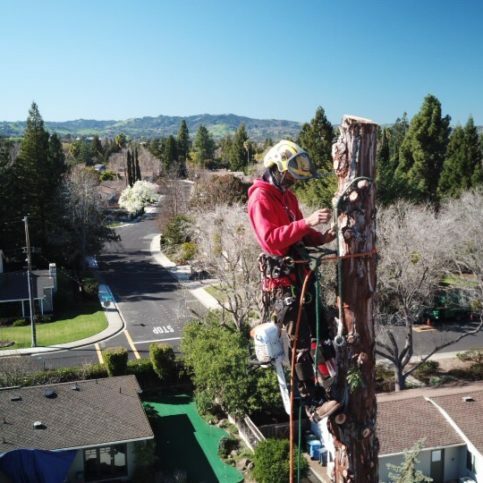 A SexyTrees.com technician works on a customer’s tree. 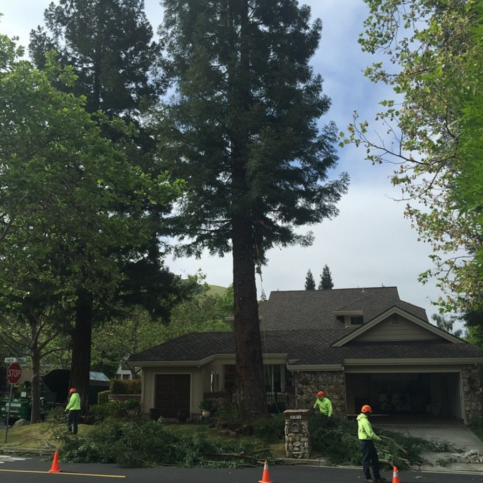 Prevent damage to your trees by hiring an experienced, skilled, honest tree company. 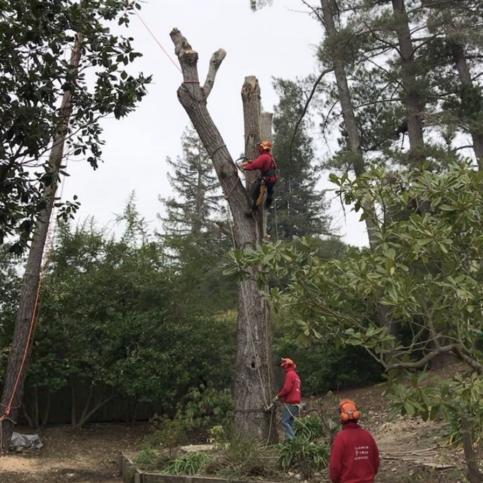 When you hire a tree service company, you probably expect its technicians to bring the tools and industry knowledge to do the job right, but if that’s not the case, it can result in lasting damage to your trees. 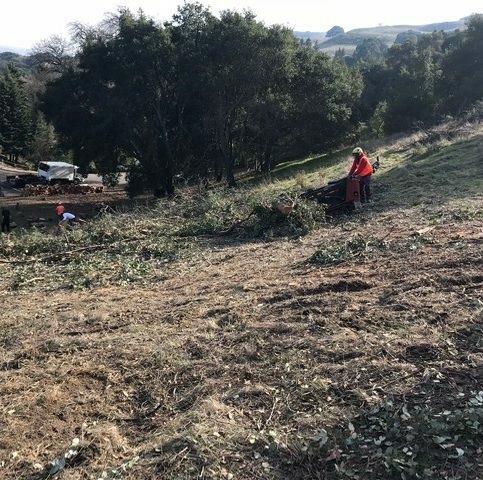 In fact, companies that don’t have the right equipment or knowledge can do more damage than good, and your trees will pay the price for their poor service and negligent behavior. Insist on clean, sterile tools. 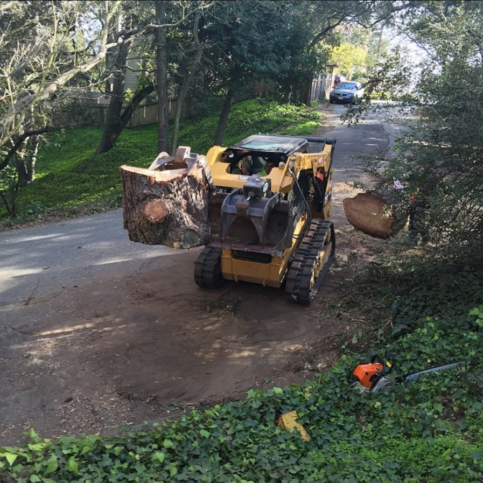 Just like with surgery on people and pets, trees can become sick if the tree company uses dirty tools. 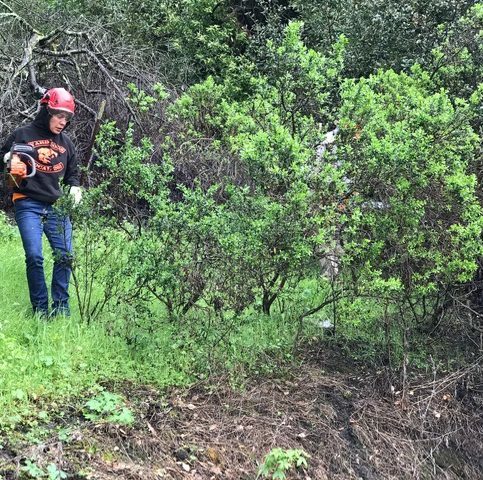 Many companies don’t know (or don’t take the time) to clean their tools after working on trees. 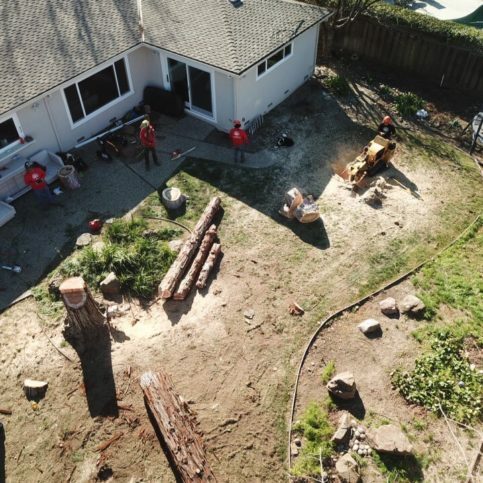 If those trees are diseased, dirty tools can pass diseases to subsequent clients’ trees. Don’t sign up for tree topping. Tree topping (removing the top or main branches of trees) used to be a popular service, and some tree companies still advertise it. 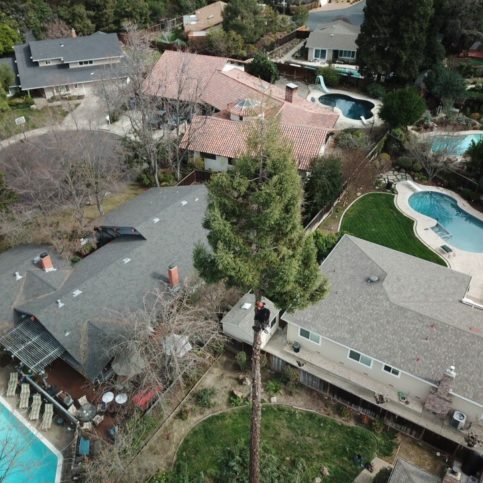 But according to experts, tree topping doesn’t stimulate tree growth, keep trees small or prevent the need for pruning. 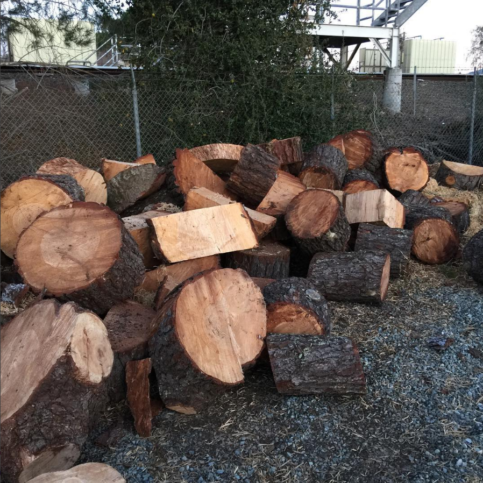 Rather than providing benefits, it can permanently damage and even kill trees. 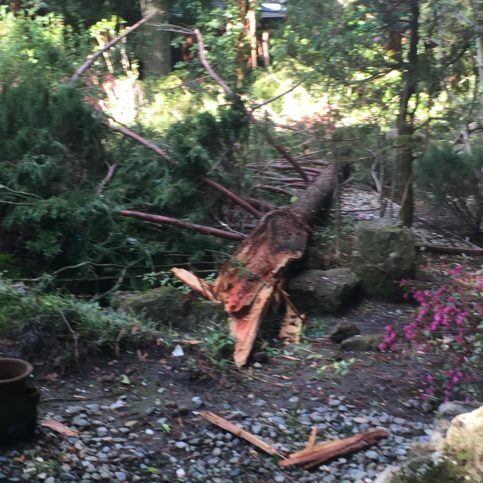 That’s because removing a large percentage of leaves can keep trees from being able to provide enough nourishment for themselves, leave large open wounds that may not heal, and expose sensitive bark and smaller branches to the harsh sun and wind. 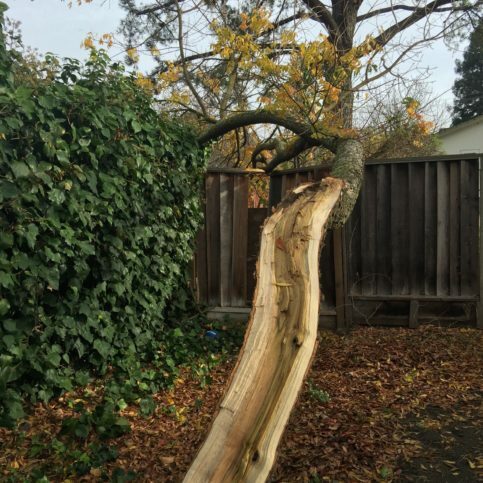 Trees that have been topped can require more maintenance and pruning over time. Make sure it’s the right time to prune. 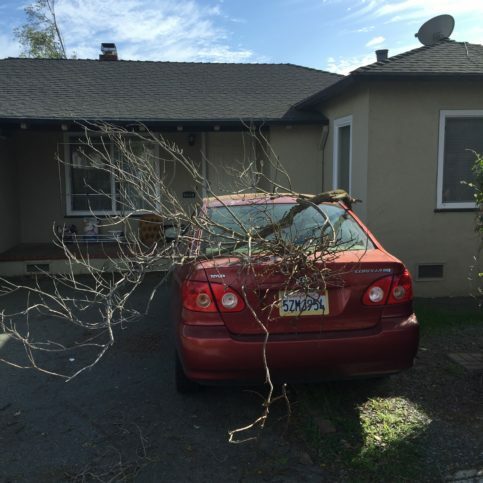 There isn’t one right time to prune all trees. 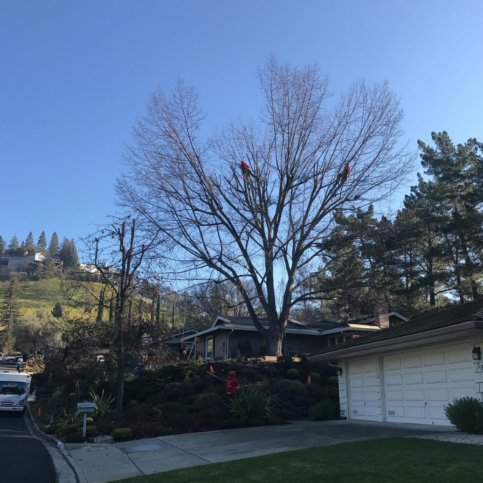 In fact, according to Alex Llamas, owner of SexyTrees.com in Alamo, the proper pruning time varies depending on the species of tree and the outcome that’s needed. 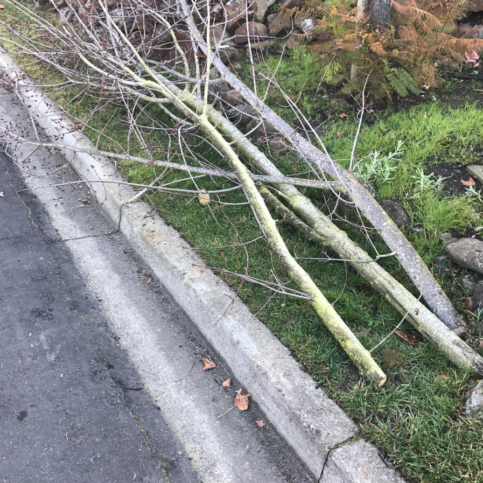 “Pruning at the wrong time can stunt trees, prevent the next season’s growth, damage fruiting and flowering trees, and create uneven and unstable future growth,” he explains. 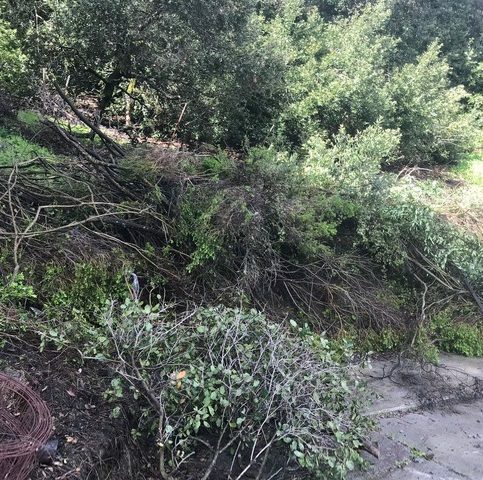 Additionally, companies that prune incorrectly can give trees wounds that take too much time to heal, leaving the trees susceptible to invasive insect infestations, diseases and even death. 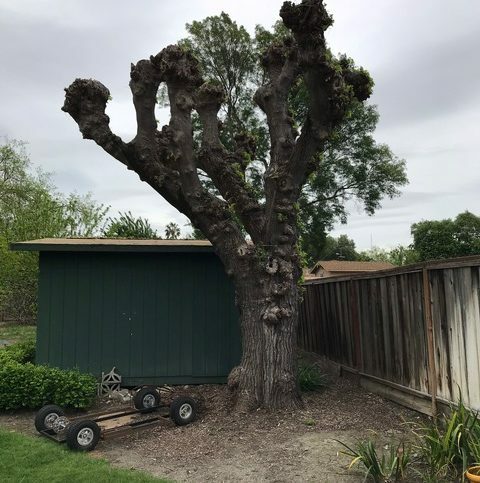 Even if they don’t get sick or stunted from a bad trim, over-pruning can make trees look ugly, and it can take years for enough growth to cover the damage. Q: When is the proper time to prune my tree? Q: Do you clean your tools between jobs? Q: How do you evaluate trees? 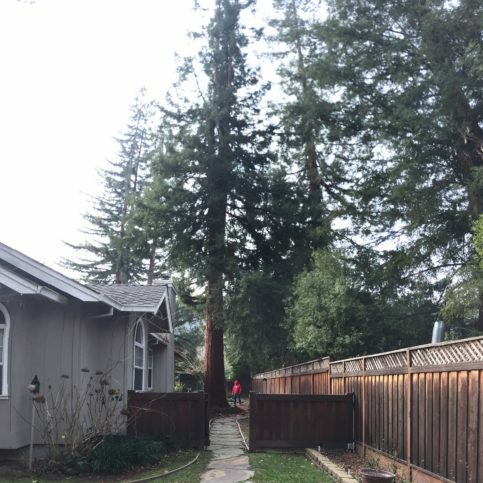 Q: What do you recommend if my tree has an infestation? 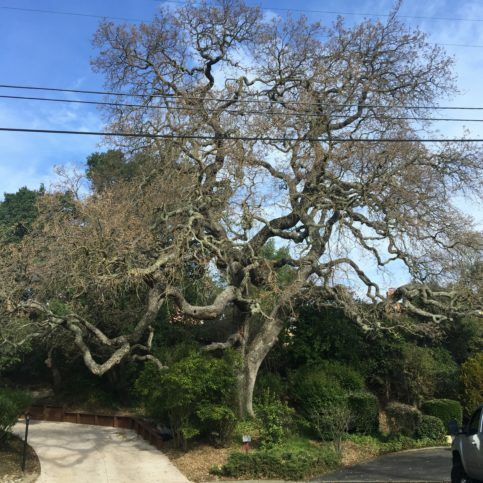 Q: When should I consider cabling or bracing my trees? Q: What are the benefits of mulching? 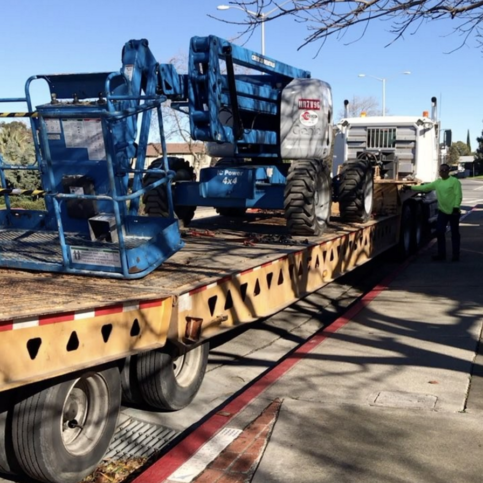 Alex Llamas is a veteran of the tree service industry and owner of SexyTrees.com, a Diamond Certified company. He can be reached at (707) 931-0935 or by email. Outside of work, Alex likes to take advantage of all the Bay Area has to offer. “My wife, Pamela, and I stay pretty active in our free time,” he affirms. 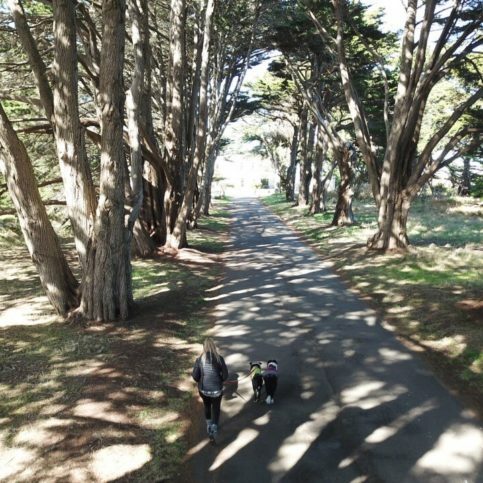 “We do a lot of camping in the summer and enjoy checking out different national parks. 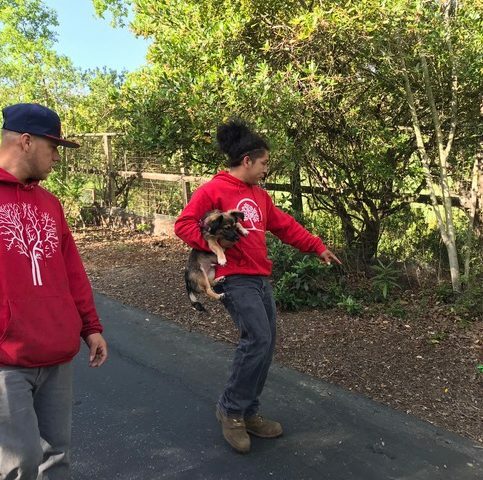 We also enjoy the city life and going out to restaurants and concerts.” Additionally, Alex likes spending time with family and friends at barbeques and similar get-togethers. A: I’m very eclectic in my tastes—I go from classic country like Willie Nelson to Mexican corridos and salsa. A: A little bit of both—it depends on the time of year. A: A rope. 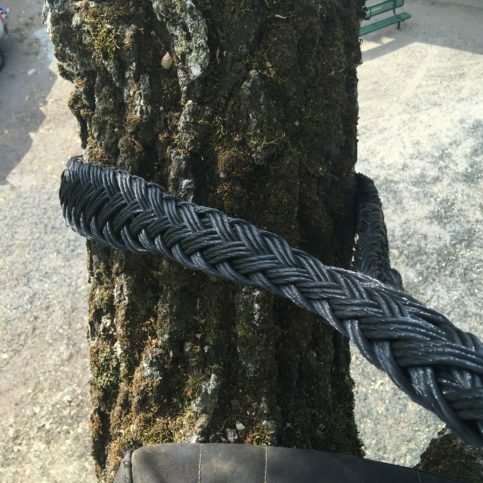 That may sound weird, but a rope is very versatile—you can use it to lasso a cow, climb a tree or whatever. A: I collect rocks, pine cones and cross-sections of wood. A: Dave Chappelle, George Lopez and Carlos Mencia. 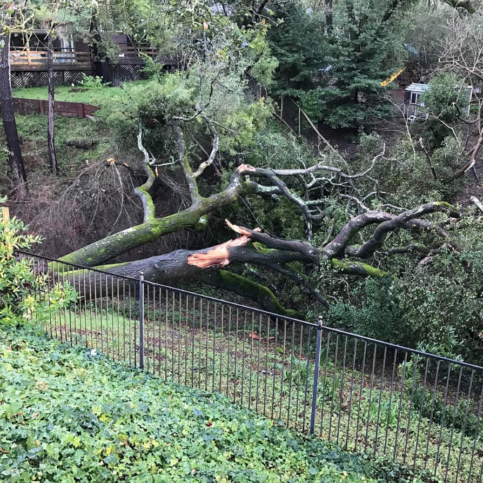 ALAMO — When a tree looks unhealthy, it’s usually due to stress from a lack of water or nutrients. A simple way to address this problem is to use a deep watering tool. 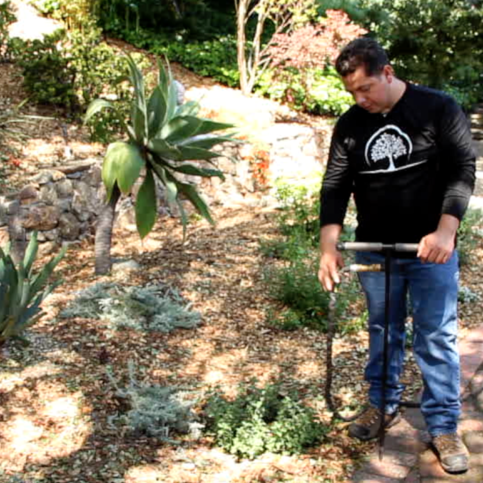 All you need to do is connect a garden hose and insert it into the ground, where it will deliver water and nutrients directly to your trees’ underground roots. When you go to the store to purchase a deep watering tool, you’ll notice there are a few variations. For example, one model has a little canister on top where you can add fertilizer. This is a nice feature that allows you to water and fertilize your trees simultaneously. To ensure effectiveness, it’s important to use your deep watering tool correctly. For instance, you should always insert your tool at the tree’s dripline—the point at which its outermost branches end. 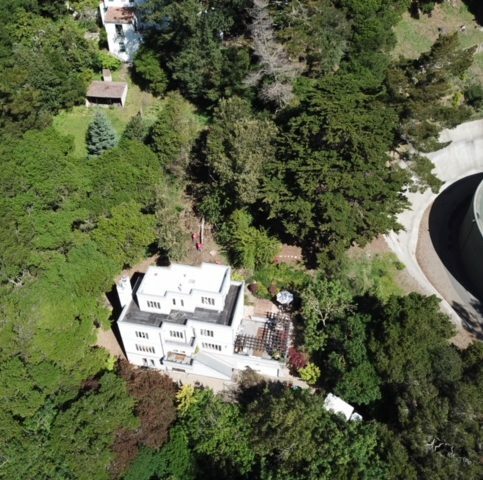 Since a tree’s roots typically extend an equivalent distance to its outermost branches, watering at the dripline will ensure the water gets delivered where it’s most needed. After locating the dripline, insert your tool about 12 inches into the soil, turn on the water at a low but steady flow and set your irrigation timer for one hour. This will give your tree a deep watering that will revitalize its condition. 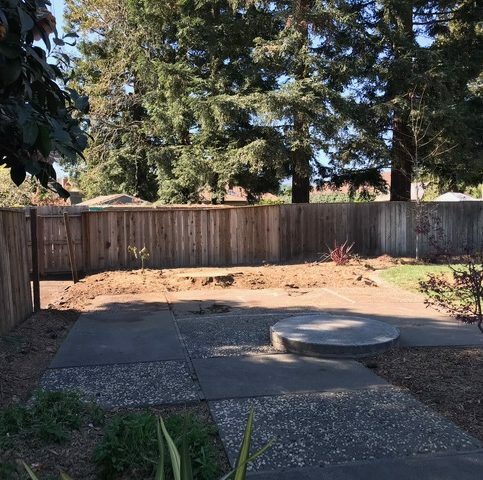 The ideal frequency of deep watering will vary depending on what type of tree you’re treating. For example, an oak or pine tree should be deep watered once a month during the warmer seasons. Additionally, it’s good to incorporate supplementary measures like mulching, which improves soil water retention and minimizes evaporation. • It insulates the soil, which minimizes sun and wind evaporation following irrigation. • It keeps weeds down, so your tree has less competition for water and other resources. 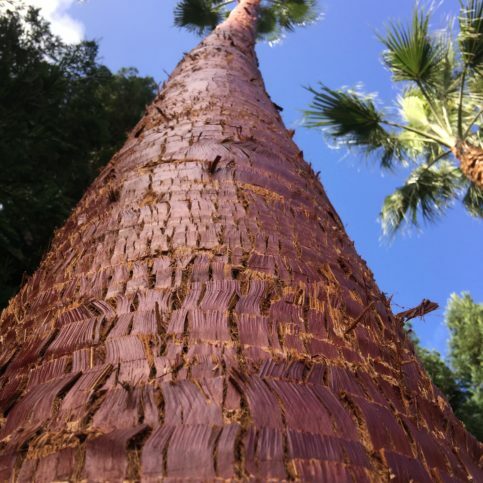 • As mulch decomposes, the bacterial activity creates additional nutrients for the tree’s root system. • It looks nice, which enhances the aesthetic value of your landscape. However, to get all the benefits of mulch, you need to apply it correctly. 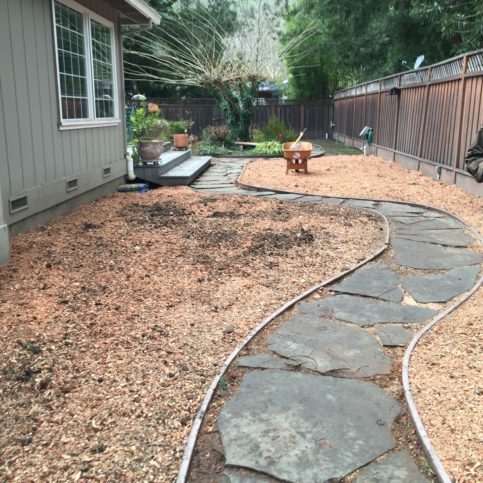 Mulch should be applied in a 4- to 6-inch layer around the tree’s outer root area. Don’t put mulch up against the tree’s base, as the fungi and bacteria it creates can have a negative effect on the tree’s epidermis. 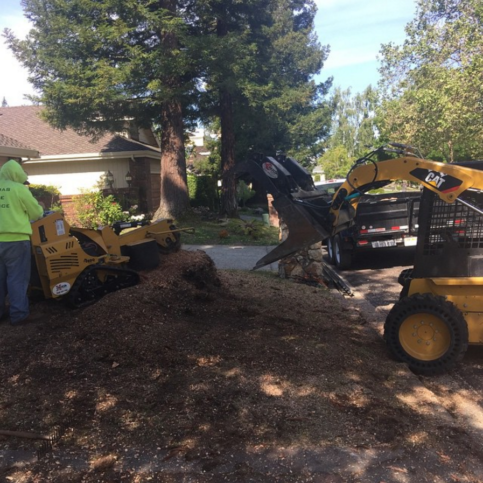 Since mulch decomposes over time, it should be reapplied annually. 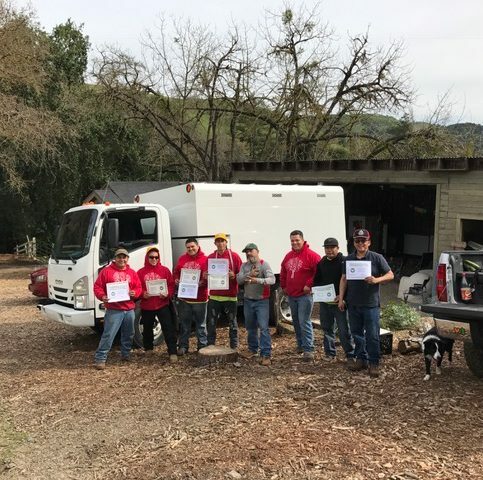 ALAMO — When hiring a tree service company, it’s important to look at the types of tools its technicians use and how they’re maintained. 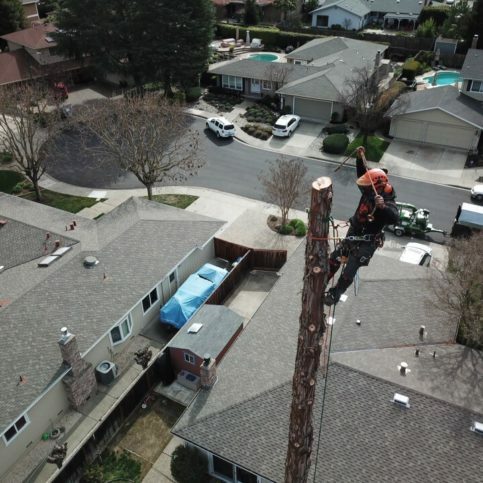 After all, you should expect a professional to use professional tools and techniques to ensure the utmost quality and safety. A good example of this is a climber’s chainsaw. 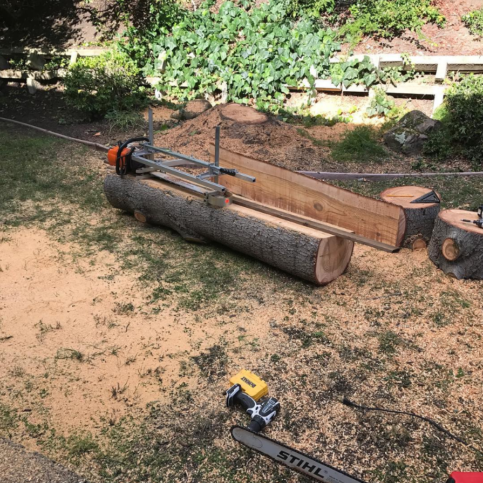 One of the most important features on this chainsaw is the handle on the top, which allows the climber to free one hand in case he or she needs to grab onto the tree. In addition to having the right kind of chainsaw, a professional needs to keep it sharp and clean. 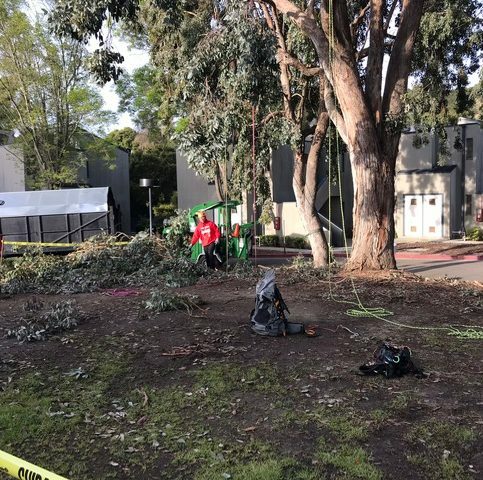 After finishing a job, some tree service technicians will just put their chainsaws in their trucks and head to the next job without cleaning them. 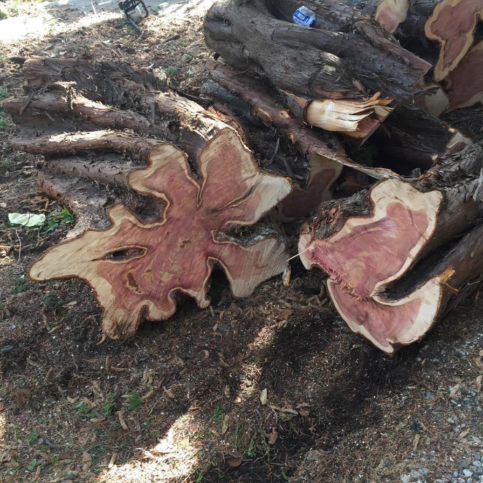 The problem is, there’s no telling whether the tree they were just working on had a disease. 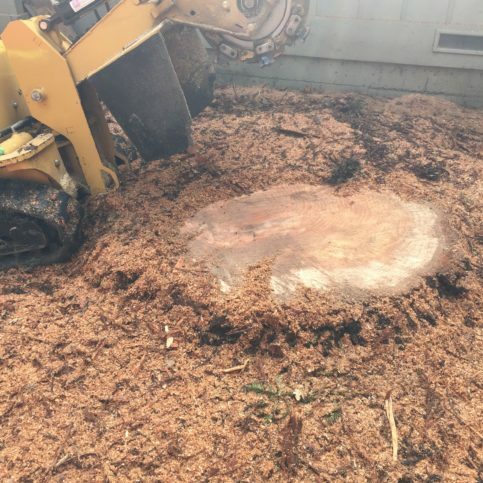 Dirty tree service equipment is a common catalyst for spreading tree diseases, so it’s crucial to sterilize equipment after each job. 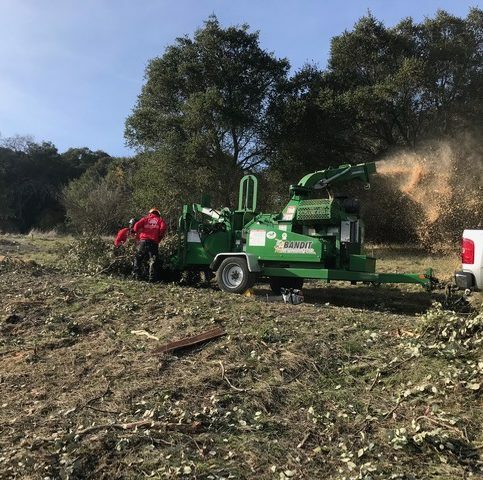 Considering the potential risks, make sure the tree service company you hire utilizes the right kind of equipment and takes measures to properly maintain it. 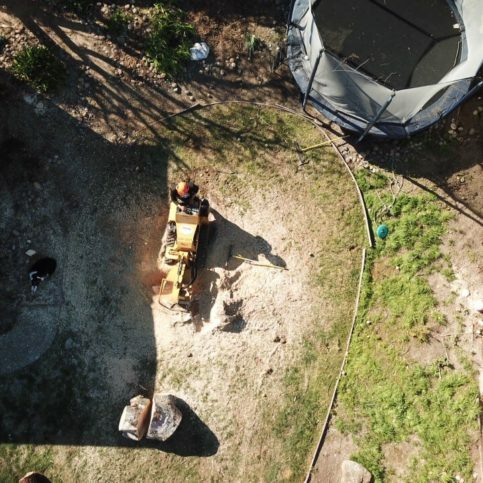 ALAMO — Host, Sarah Rutan: If a tree on your property is looking unhealthy, you may need to employ a tactic known as deep watering. Today we’re in Alamo with Diamond Certified Expert Contributor Alex Llamas of SexyTrees.com to learn more. 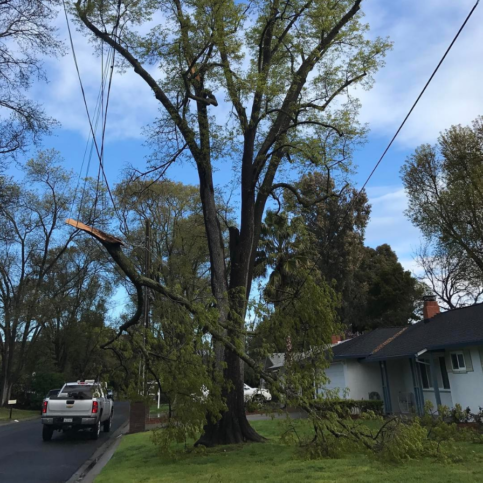 Diamond Certified Expert Contributor, Alex Llamas: So, a lot of times when I come to your house, I notice that a tree is not doing so good. And the reason why it’s not doing so good is: (a) it’s lacking nutrients, or (b) it’s stressed out by not being watered enough. So, one of the things you can do is you can go to your local hardware store and pick up one of these tools. These are called, “the deep watering tool.” They have different varieties. There’s one that you have a little canister on the top. And you can put fertilizer in there. But you want to get yourself a hose. And basically, what you do is you look at the tree, and you go out to where the dripline of the tree is. And the dripline is simply explained by the tips, the outmost tips of the tree branches. If you go directly down, that is the dripline of the tree. What you want to do is you want to put this guy about 12” into the ground, like so, turn on the water, set your timer for about an hour, make sure it’s not at high pressure. But it’s just, like, a slow flow of water. And you’ll see the changes in your trees. 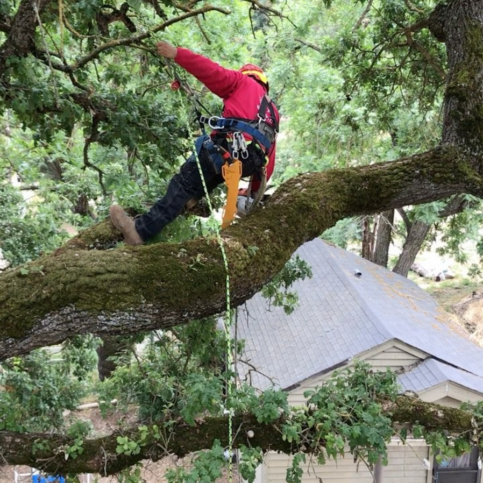 Typically, you might want to do watering on oaks and pines about once a month in the summer months. And you want to use mulch as well. 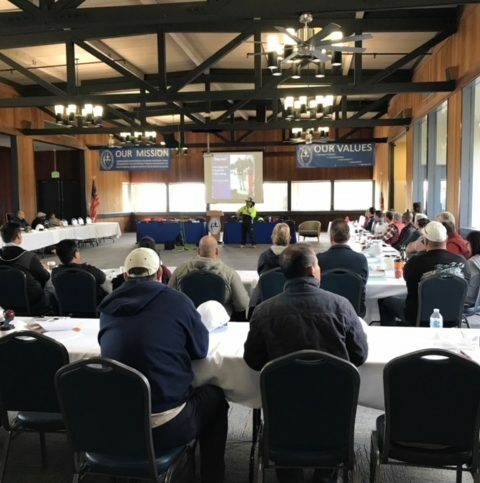 ALAMO — Host, Sarah Rutan: If you’re looking for ways to promote the health of the trees on your property, consider the many benefits of mulch. Today we’re in Alamo with Diamond Certified Expert Contributor Alex Llamas of SexyTrees.com to learn more. 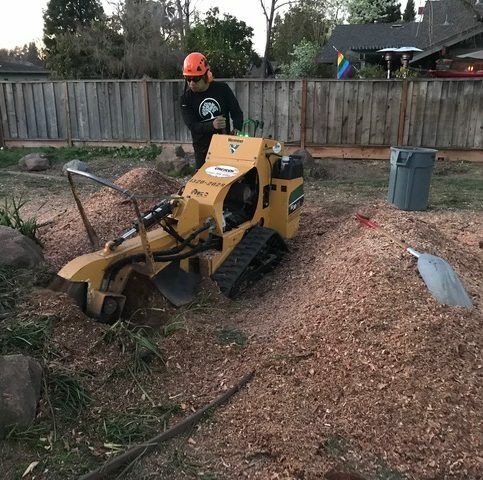 Diamond Certified Expert Contributor, Alex Llamas: You know, one of the secrets I like to share with a lot of my clients is the benefits of mulch. Mulch — it makes the landscape look nice. It kind of makes the plants pop out, but it has some benefits, too. It insulates the soil, so the sun doesn’t beat down and evaporate the water that you’ve just irrigated. And it also decomposes and adds nutrients for the root systems for the trees and the plants. So, that’s my secret. 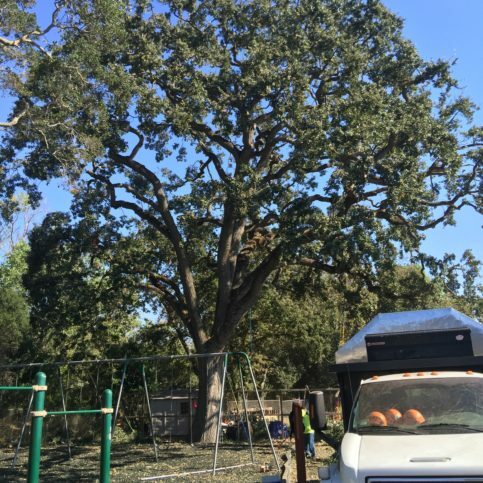 ALAMO — Host, Sarah Rutan: When hiring a tree service company, it’s a good idea to observe the tools it uses and how they’re maintained. Today we’re in Alamo with Diamond Certified Expert Contributor Alex Llamas of SexyTrees.com to learn more. 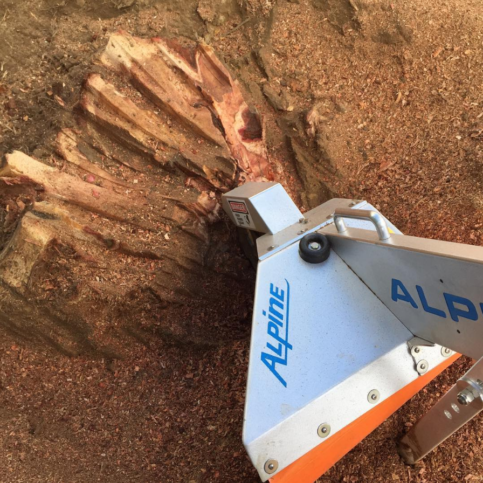 Diamond Certified Expert Contributor, Alex Llamas: Today, we’re going to talk about what tools to look for when you’re hiring a tree service to remove a tree. So, one of the most important things is this climber’s chainsaw. Notice there’s a handle on the top. 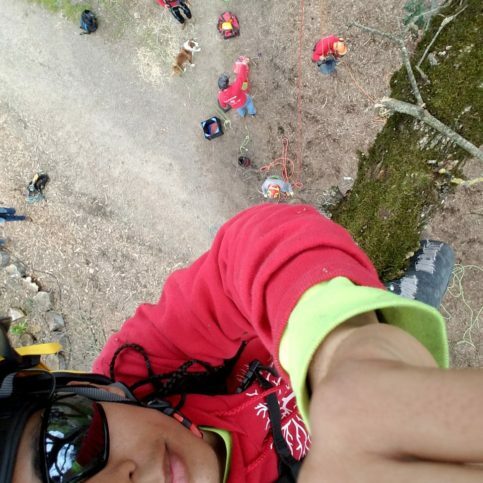 That allows a climber to utilize one hand if he comes into a critical moment where he has to let go of this hand to grab onto the tree. The other thing, too, that you need to look for is that the chainsaw is clean, and sharp, and sterilized. 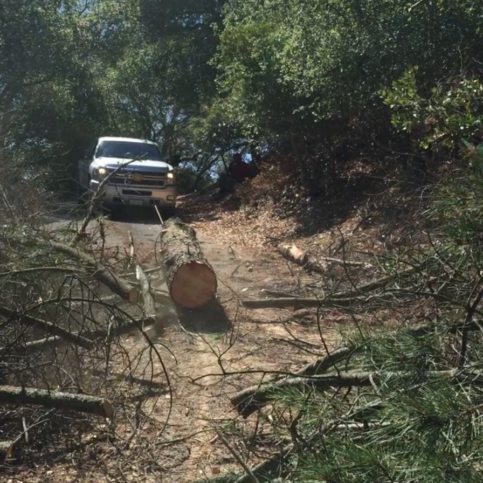 A lot of times, a lot of these guys – what they do is, they just put the chainsaw in the truck, and go to the next job. 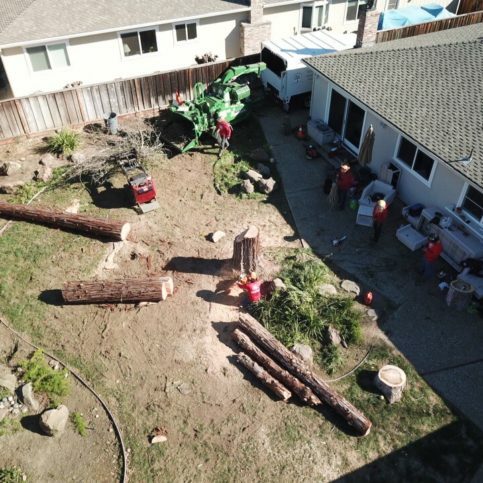 And they don’t know if that tree that they were working on the day before had a disease. And chances are, they’re more than likely to spread it with a dirty chain into your yard. So, make sure that they sterilize their equipment. SexyTrees.com : Average 9.7 out of 10 based on 75 unique customer surveys of customer satisfaction. Extremely professional, great team, and they got the work done. We have been through a lot of tree people and Alex is the best, hands down. His crew is knowledgeable. They are on time and quick. They have been very responsive and helpful. They did a good job. Their responsiveness, whenever I call, they are there. They did what they said, they were very professional, and they made some excellent suggestions. Alex, the owner, has a huge amount of integrity. They are friendly, professional, and they provide great customer service. I work in real estate and they help a lot of my clients. They do thorough and professional work. 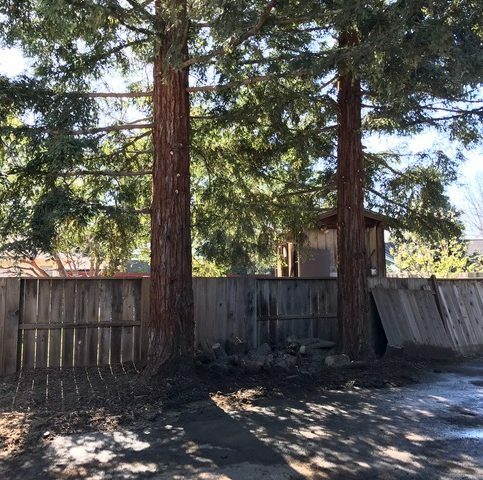 When the owner came out, I could tell he really understood trees. 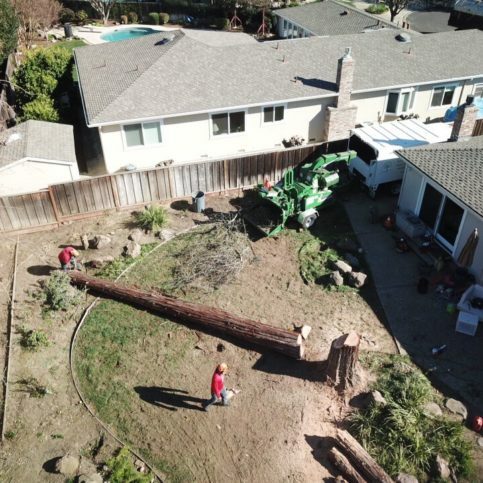 They did a great job, our trees were not looking good, but they came in and did a great job. 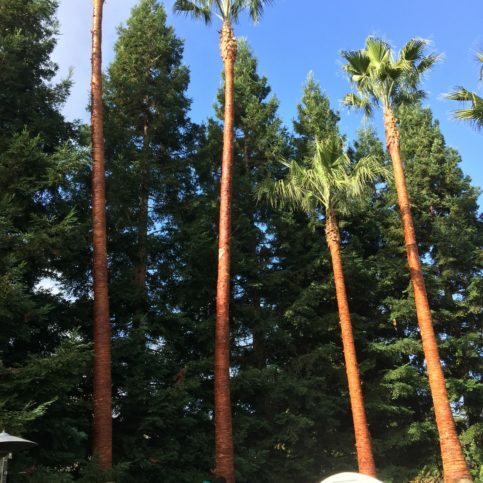 Nothing other than the fact that they made the trees look better. We almost had them removed from the property. They were there on time and we didn't really even notice they showed up, they cleaned the areas better than they were before. They did great work and cleaned up really well, I would recommend others use them. They left the place clean. They have been very reliable over the years. We use them ongoing every 6 months for a couple properties. They are great, well worth the charge. That they are a very professional group of people with great knowledge in their field of work, hire them. They were knowledgeable, but within a fair price. They did a good job, hire them. We have been using them for some time now. They were on time and cleaned really good after the job was done. 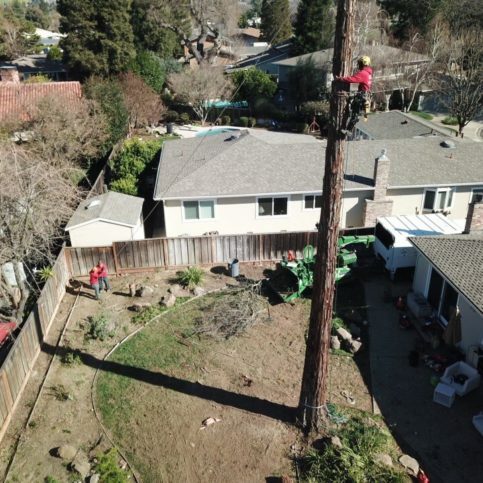 For a tree service, they are really professional. They are well rounded guys, who are very straightforward. I will be using them again. Alex is a good guy. They are just overall good people. I feel like they are very professional. They were professional, yet very friendly, and very thorough. I brought them over to ask about one tree. He looked at all of our trees and said that the one I was concerned about was fine. He ended up finding one other on the property that really needed work. He thinks he saved us from a falling tree with that one. We have him scheduled for ongoing service now. He was very straightforward and gave very honest opinions. He is more for saving trees than wiping everything out. They were quick, in and out. I didn't even realize that they had left until I noticed one of the trees looking great.